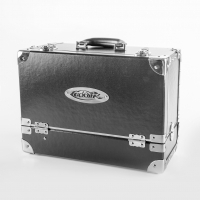 These make-up cases are a new item in the Ludovik collection of products for make-up artists. They are identical to Lydmila’s famous personal case. She was often asked, where one of those could be bought. And now you know the answer – buy it in our store! 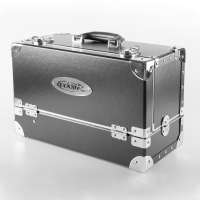 The LUDOVIK cases have been developed in accordance with requirements expressed by contemporary make-up artists. The production was regulated by Lyudmila Tarakanova. The cases have a sufficient amount of folding compartments, they are roomy enough, but their main features are their light weight and high durability! They reliably protect your make-up products and instruments from undesired contact with environment and outer mechanical impacts.